Patients with rheumatoid arthritis (RA) have special family planning considerations that require close coordination with health care providers. While this article focuses on issues inherent to female patients given their potential for pregnancy, we will review pertinent issues related to medication counseling for male patients. Some women with RA may experience subfertility. Disease activity may decrease for some, but not all pregnant women with RA. Preterm birth is more common among women with RA than among healthy women, which may be explained, in part, by disease activity and/or use of certain medications. Contraception is safe for women with RA. RA is a chronic, female-predominant inflammatory disease that may affect women and men during their reproductive years. We describe some of these considerations herein and focus on strategies to help providers to clarify and support their patients’ reproductive goals. Pregnancy and rheumatic disease. 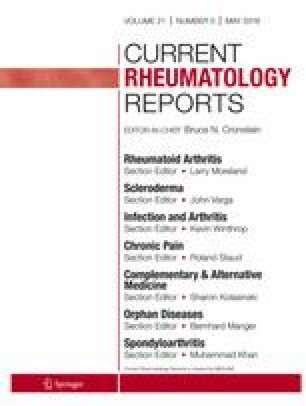 http://www.rheumatology.org/I-Am-A/Patient-Caregiver/Diseases-Conditions/Living-Well-with-Rheumatic-Disease/Pregnancy-Rheumatic-Disease#sthash.JxTY5YE4.dpuf.